Google says that it is rolling out an update to the Messages app this week that will make it easy for users to find contact-related content easily. Google has been tinkering with all its apps not only to make them wear a similar look but also to let users easily navigate through them. 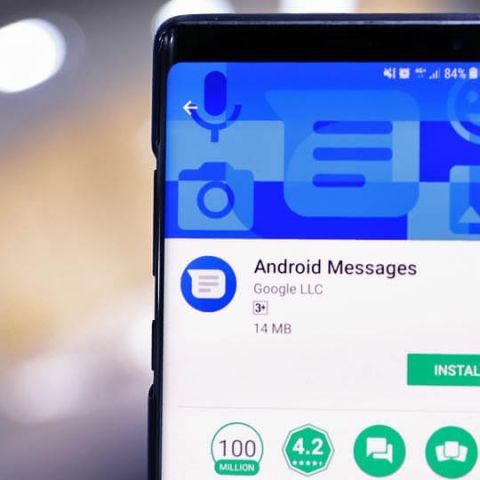 In the latest announcement, Google has said that it is rolling out some improvements to search in Android Messages this week so that users can more easily find the content like images, videos, links, etc from a long list of conversations. If you are one who has received the latest update, after tapping on the search icon located on the top right corner of the screen in Android Messages app, you will be able to select a specific contact and see the messaging history with him or her. The search brings out all conversations, including one-to-one and group conversations, and all the photos, videos, addresses or links you shared with your contact(s). “We share a lot of information in our messages, but it’s not always easy to look back and find that photo your mom sent a month ago or the address of the coffee shop your friend recommended. Now you can find more of the content shared in your conversations in Android Messages, by simply searching by contact or type of content,” Natalie Naruns, Product Manager, said in a blog post. Last month, Google rolled out Material Theme and a Dark Theme for Android Messages. It is also reportedly testing the integration of the Google Assistant into Android Messages with suggested messages. It is speculated that with this integration, Android Messages may get Allo-like capabilities. The search giant recently completed the rollout of its Messages for web feature that will let users text from a desktop just like they do in WhatsApp for Web.